En aquest taller us ensenyarem cóm fergaletes fàcils i divertides amb la tècnica del fondant i, com que es molt divertit treballar amb aquest ingredient us suggerim que vingueu acompanyats dels més menuts. 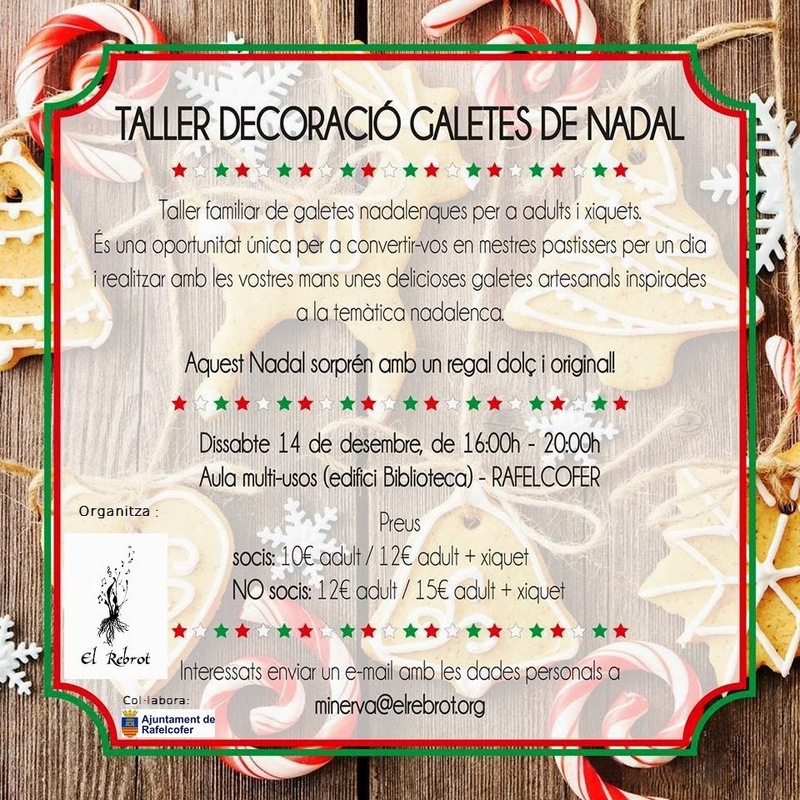 El taller es realitzarà el dissabte 14 de desembre per la vesprada de 16:00 a 20:00h a l'Aula Multiusos de l'Edifici de la Biblioteca de Rafelcofer. 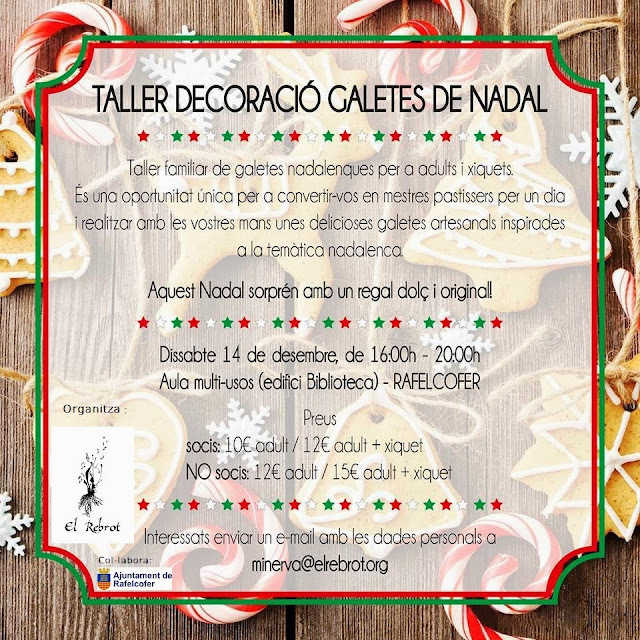 Les inscripcions les podeu realitzar enviant un e-mail a minerva@elrebrot.orgamb les vostres dades personals.ANIMEU-SE QUE HO PASSAREM MEL!!! One of its best-selling product Chanel replica handbags " No. 5 perfume " , the EU Scientific Committee on Consumer Safety recommended a ban on the sale , because the tree moss fragrance contains ingredients . Tree moss is a natural extract, but with pollen , as it could lead to a 1% -3% of people are allergic , but it itself is harmless. cheap replica handbags Paris Fashion Week debut of new models of volcanic ash T stage catwalk on March 8 , the models show Chanel 2011-2012 autumn and winter clothing at the Paris Exhibition . The same day, Chanel Paris Fashion Week debut in autumn and winter . The organizers will live and stones covered with volcanic ash , smoke in the audience of the world shrouded atmosphere. 14, accompanied by the roar of the machine , more than 30,000 pieces of counterfeit "LV", Louis vuitton replica handbags and other brands are now being destroyed on the spot in the ancient streets of Yantai Development Zone . These bags bags cases from 2011 Yantai Municipal Public Security Bureau cracked selling , brand trademark infringement , involving the value of 7.4 billion, is the largest country involved in the value of similar cases . Active in Japan and South Korea , specializing in manufacturing and selling fake brand-name bags gang was destroyed. China duty-free imports from a limited liability company in Belgium luxury brand " Chanel " nail polish , because the detection of benzene have been notified . It is understood that the volatile benzene , long-term contact with the skin or by inhalation into the body , would infringe the human nervous system. A current batch of wash water have been destroyed. Very well written and you described it very beautifully.